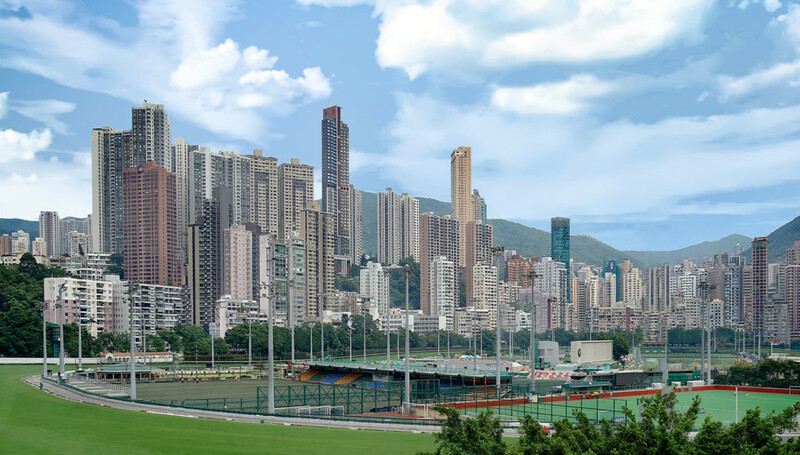 The stadium of a famous sport in Hong Kong, Horse Racing. I shot that photo from the high deck of a RedBus line motorbus. I used every stop at a red light or traffic jam to get shake-free photos. It’s one of my preferred city tour expeditions, sitting on the open air deck with my camera in hand. Walking a dozen miles every day with the photo gear gives you pain after two or three days, even packed with mirrorless cameras, like the Sony E series.